I can’t believe it took me so long to actually sit down and get these photos ready. Photos I took almost 3 weeks ago, when I was on a surreal break. Wow. 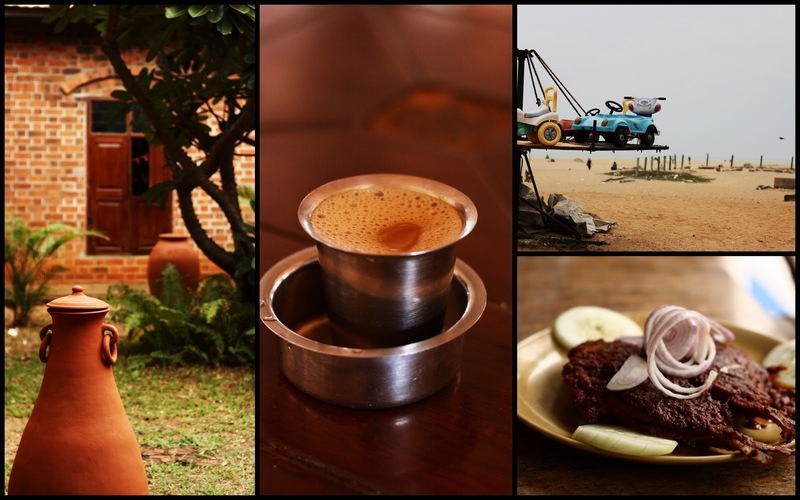 I DO lead a ridiculously busy life.But let’s forget that for a minute ( because I do have only a minute to do that) and relive those wonderful 7 days I spent in Chennai, Pondicherry and most importantly Auroville. 7days packed with laughter, silence, exploration, introspection – all between bites of truly wonderful food. Is it the place that makes the food or the food that makes the place? A question I’d rather not mull over because it really doesn’t make a difference. How can you explain the joy you feel while digging into a sublime Spicy Fried Fish or while you enjoy a Creole lunch in a gorgeous heritage home. 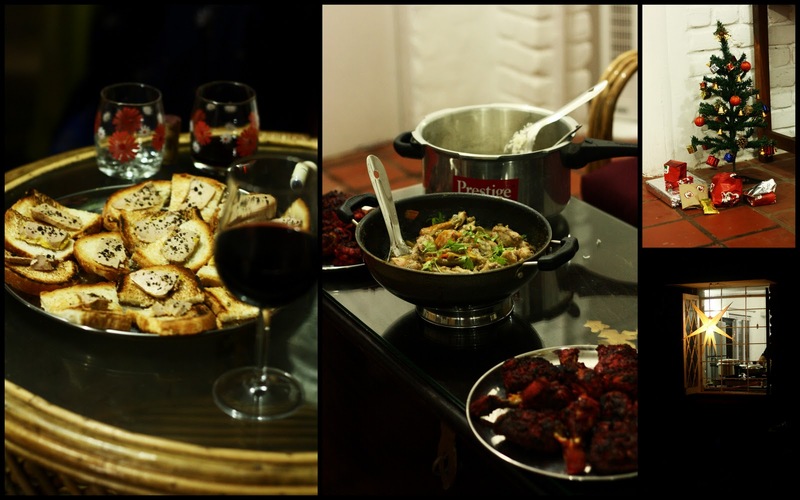 Or the calm that spreads into every muscle while you stuff down the perfect slice of cheesecake or even being lost in translation over a scrumptious Tamilian-French meal ? Lets leave those questions unanswered and get down to ogling over the pictures. They almost make me weep. 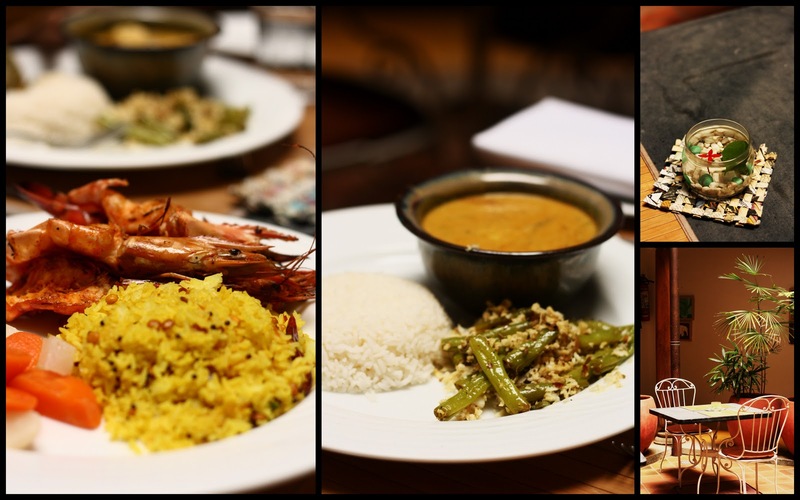 A deliciously ‘simple’ meal at Indus Cafe, Auroville – you pay what you want and eat as much! 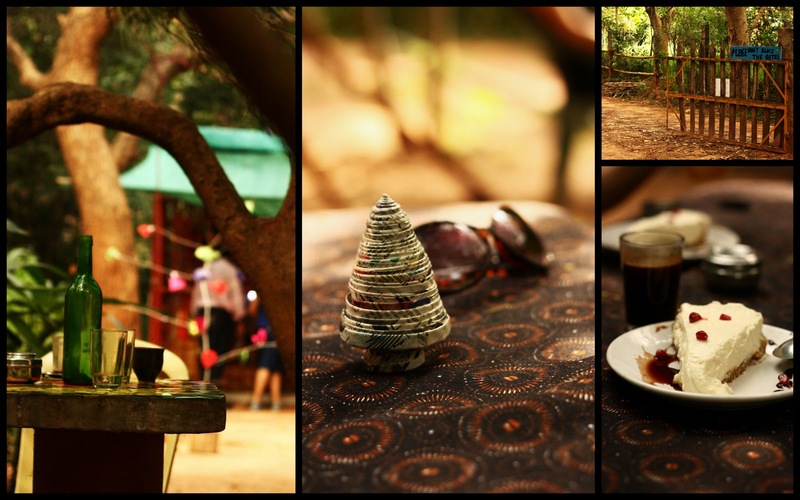 Cafe Sve-Dam, Auroville – the best Cheesecake ! 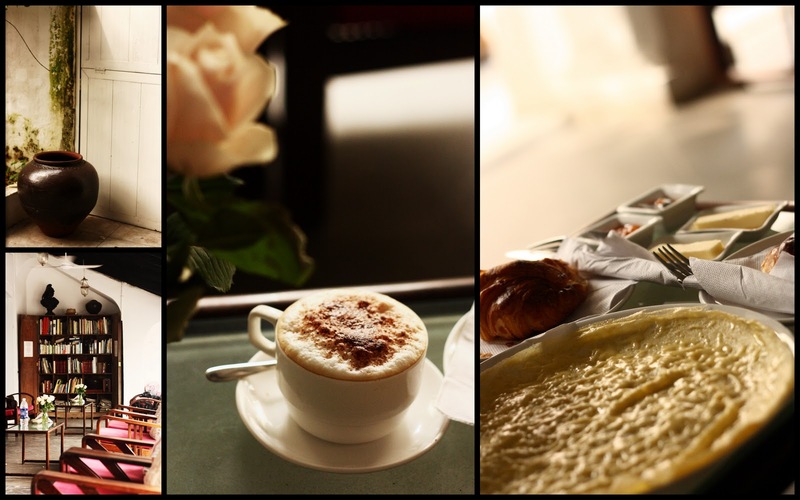 A beautiful breakfast at a little French Cafe in Pondicherry. And no, spending 2 hours over breakfast is not criminal. 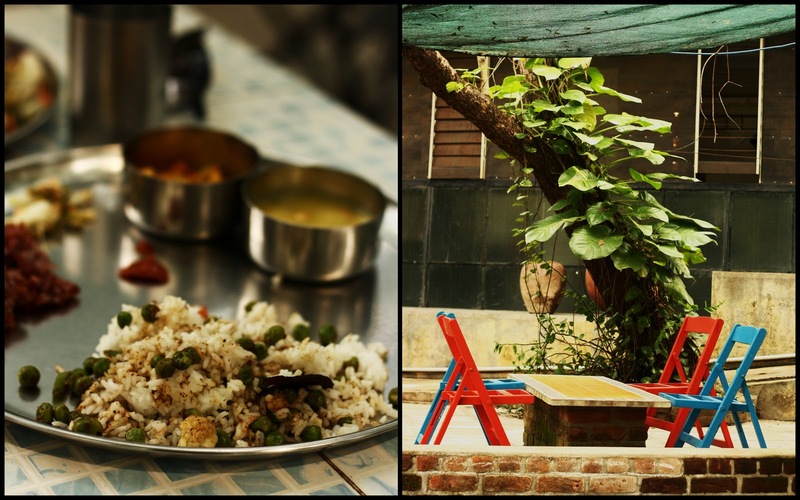 A Creole meal in Pondicherry – SO yum ! 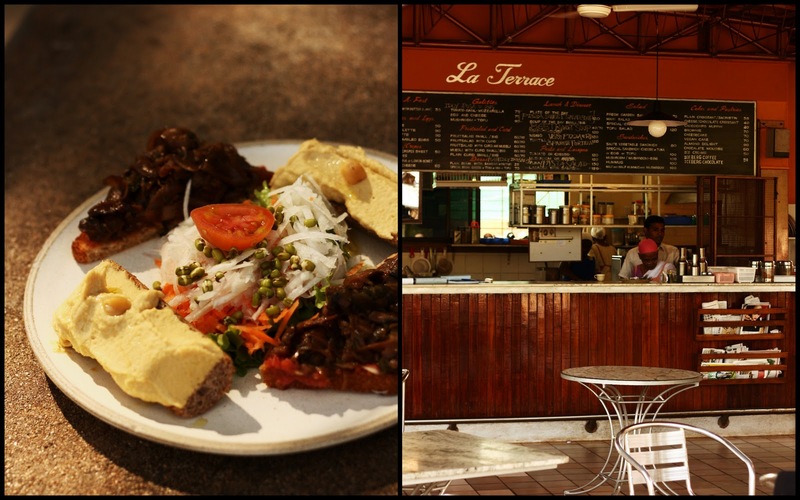 An institution in itself, La Terrace in Auroville is where all the gossip is at ! And we all know gossip = munchies! 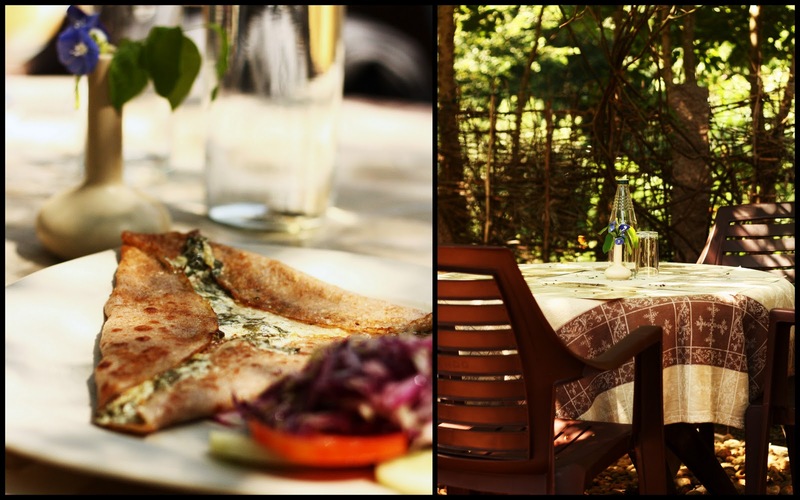 Enjoying a Ricotta and Spinach filled Galette on a sunny Sunday Afternoon – yeah, I could get used to that! As always – let me know what you think !